Industrial fluid processing operations routinely include distribution, mixing, and dosing operations on the path to a finished product. 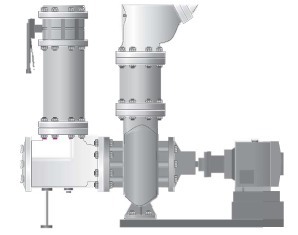 With numerous valves, fittings, pipe sections, supports, and other components required to form the fluid path combinations needed to accomplish the process goal, designs can easily become complex and installations unwieldy. Greater parts count puts upward pressure on the probability and frequency of leakage or other types of failures that will divert resources from otherwise productive tasks. The traditional method of fluid routing through a process may have involved one or more valve stations consisting of manually constructed piping and valve assemblies with numerous fittings, pipe sections, and support structures. These assemblies are often sizable, due to the nature of their manual assembly and required space allowances for field service and maintenance. Designers and builders of fluid processing equipment should consider an alternative with some distinct advantages. 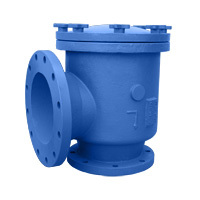 A multiport valve block can combine numerous valves into a single compact unit. By doing this, large counts of fittings, pipe lengths, and supports are eliminated, substantially reducing the parts count and number of potential failure points. 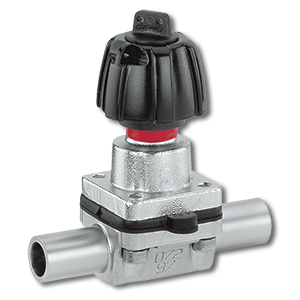 Of equal importance is the reduction in the required installation space provided by the compact form factor of the valve block. There is also potential for reduction of dead leg space and volume of fluid retained in portions of the system. which is machined and polished to finished form. 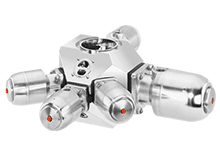 There are endless configurations of multiport valve blocks that can be designed and configured to match the requirements of simple to highly complex valve networks. Materials of construction range from plastics to stainless steel. Variants are suitable for CIP and SIP operations. The video below shows real world (not animated) functioning of a demonstration unit designed for a mixing operation. 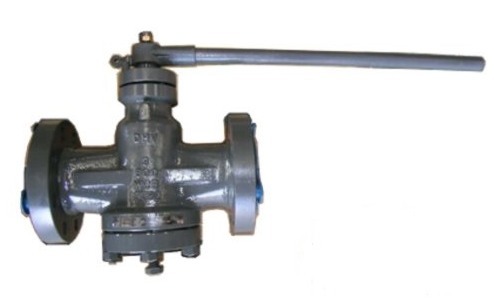 Essentially, a multiport valve block allows the installation of a whole lot of valves in a comparatively small space, reducing parts count and associated risk. Watch the short video. 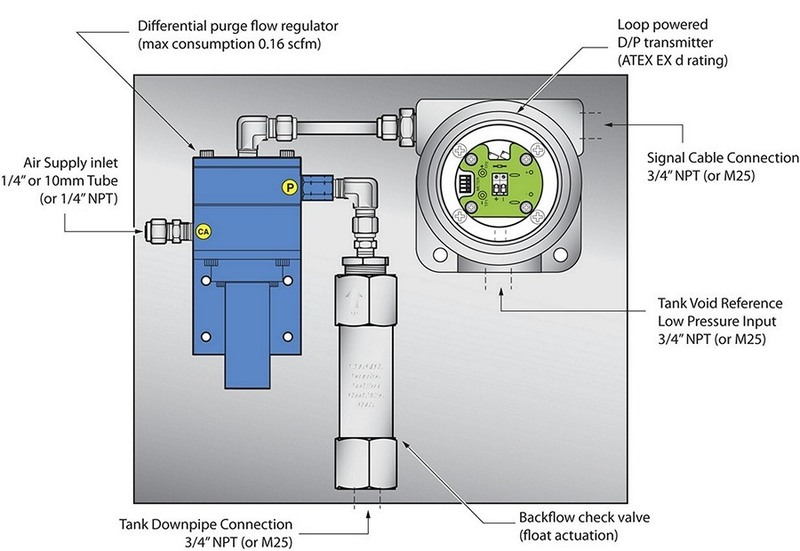 Think about how this modern and effective method of valve networking can bring benefits to your operation. There is much more application detail available from product application specialists. Share your process challenges with them and work together to generate the best solutions. 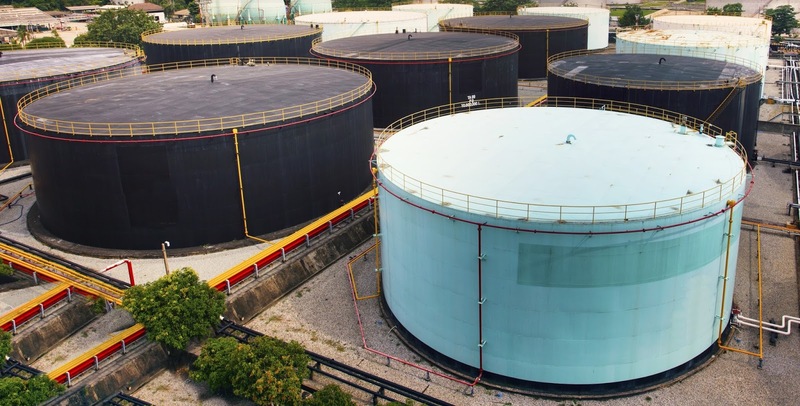 These process measurement devices have a strong position in the tank level measurement field and should be considered as a candidate for fulfilling those application requirements. I have included a technical data sheet from Granzow, one of several manufacturers of this type of instrument, so you can see more detail. Share your application challenges with a sales engineer that specializes in level measurement. Combining your process knowledge with their product application expertise will yield positive solutions. In any business venture or other organization, relying on doing things the way they have always been done can be detrimental to real progress and improvement. Certainly, incorporating change has risk, but careful consideration and planning can make deciding upon and implementing change a big win for an organization. Cooling towers are common elements of heat rejection systems, like building HVAC and industrial process cooling. By design, cooling towers have large wetted surfaces in almost continuous contact with aggressive solutions of water and various chemicals used to maintain certain fluid conditions. Many towers are constructed using metal for the wetted parts and case of the unit. This has traditionally been an area of concern with cooling tower ownership, since the combined elements of water, treatment chemicals, and time take their inevitable toll on the equipment. There is a good solution to the deterioration of metal clad cooling towers. Construction utilizing high-density polyethylene (HDPE). HDPE is impervious to corrosive water treatment chemicals and elements often present in the air, whether harsh chemical vapors emitted from nearby industrial plants or natural corrosives such as salt air. 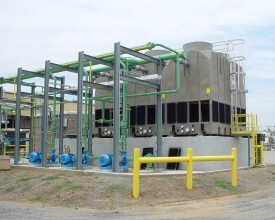 Delta Cooling Towers, Inc. is a US based manufacturer of HDPE cooling towers with a substantial portfolio of completed projects. Below is a short case study showing how one industrial user benefited from installing HDPE cooling towers. 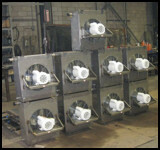 Efficient and reliable operation is always an objective of a steam system owner or operator. 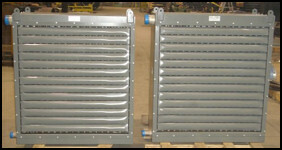 If your system employs heat exchangers, an understanding of heat exchanger stall will put you on a path to efficient operation, lower maintenance, and possibly longer useful life for major parts of your system. Heat exchanger stall occurs when low load conditions reduce the steam pressure in the heat exchanger, decreasing the pressure differential across the steam trap to a point below the back pressure in the condensate line. The resulting condition causes condensate to back up into the heat exchanger, reducing its efficiency. There are other negative effects that are illustrated in the animated video below, produced by world recognized steam system experts Spirax Sarco and presented by Mountain States Engineering, a distributor in the Western US. The video is useful and comprehensible to a wide range of skill and knowledge levels. 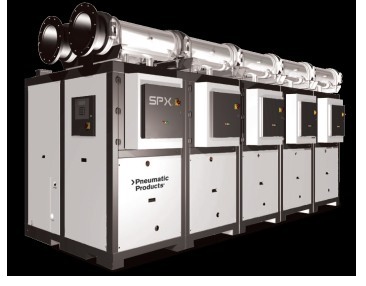 It takes only four minutes to view, and will leave you with a better understanding of how you can get consistent and efficient performance from your steam system. For a steam system survey and evaluation, contact the engineers at Mountain States Engineering. They have the technical knowledge, products, and other resources to deliver solid and positive solutions for keeping your steam systems at peak operation. Industrial process control applications present an unending stream of challenges to designers, engineers, technicians, and other stakeholders. Because of the general nature and scale of industrial operations, there is often danger and risk involved during normal operation, as well as the potential for catastrophic impact to personnel, environment, and other assets in the the case of failure. The equipment and components we employ in our processes have three areas of consideration. Firstly, they must perform some range of functions reliably under normal operating conditions. Second, the contribution of any device to the risk of process failure must be minimized. Thirdly, there may be performance requirements for the device under abnormal process or environmental conditions. Hazardous areas, with potentially explosive atmospheres due to the presence of certain gases or fine particulates, pose a particularly challenging set of circumstances to those of us striving to make things work properly. Everything within the hazardous area must be hardened in such a way that it poses no risk of being the source of ignition of the surrounding atmosphere. There are various effective methods for accomplishing this, most of which involve substantially increased cost and time. Custom Control Sensors, a manufacturer that devotes a substantial portion of its product line to control devices for use in hazardous areas, has added a new development to their series of adjustable setpoint industrial pressure switches. The latest addition to the line is suitable for hazardous areas and has a unique feature that will save time, money, and a even a little space in your process area. The newest version of the company's 6900 series industrial pressure switch features a Turck® connector that simplifies installation in Class I, Division 2 applications. Use of the connector eliminates the need for an electrical junction box at the sensor location and makes installation or removal of the device a simple operation. 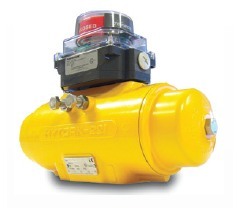 This improvement simplifies the deployment of pressure switches in hazardous areas. You may have your own potentially advantageous applications for this or some other CCS products. 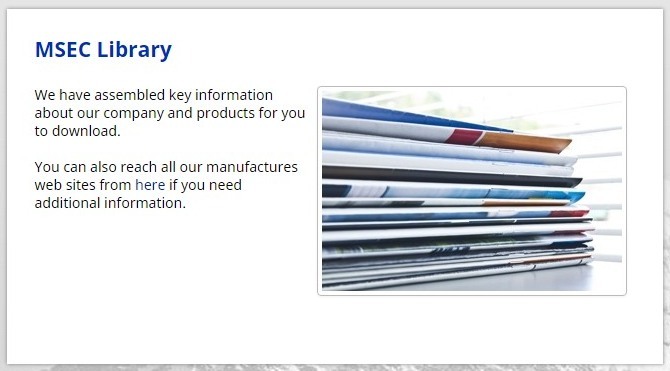 Contact a product specialist to explore product solutions to your process challenges. Machinery that will be continuously bathed in a spray of water throughout its operating life is certainly a good candidate for some corrosion protection. Locate this equipment outdoors, perhaps in a coastal area, and the potential to gain benefits from a corrosion resistant installation are more than clear. 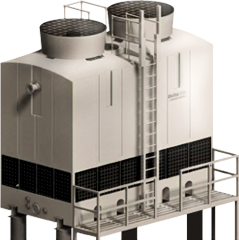 Cooling towers fit my previous description admirably, and their scope of application makes them an essential element of facility operation. Every unit is exposed to combined effects of variable water chemistry, constant saturation at elevated temperatures, and aeration. Some cooling towers also are impacted by potentially harmful agents in the process water and various airborne pollutants, including sulfur oxides and acid rain. For those not entirely familiar with how a cooling tower works, here are the very basics. Cooling towers transfer an amount of heat from one or more water-cooled machines or systems to outdoor air. Heated water from the water cooled systems enters the cooling tower, distributes over a heat transfer surface (sometimes called the fill), and is cooled by an induced air flow that is forced through the fill. The flowing air causes a portion of the water to evaporate, removing heat and lowering the temperature of the water. The cooled water is collected in a basin and returned to the system to repeat the heat transfer cycle. Traditionally, cooling towers were fabricated of metal because of its structural strength and ability to be formed using readily available fabricating means. Differing metals were employed, at basic to premium price points, to provide increased levels of resistance to the ever present corroding nature of water and weather. Many cooling towers built today employ the same, or similar, materials and methods used decades ago. There is, and has been for quite some time now, a modern alternative to metal cooling tower construction that provides substantially increased levels of corrosion resistance at a competitive price point. Delta Cooling Towers, Inc. manufactures cooling towers using structural and other plastics, enabling them to provide a 20 year warranty covering the basic structure of the unit. 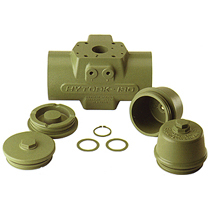 The product line provides capacity and performance range to cover almost any requirement. If you are in the business of specifying heat rejection equipment for your own facility, or one of your client's, you should get more detailed information about this equipment. Have a discussion about your application requirements, and concerns about operational longevity, with a product specialist. Good decisions come from combining the knowledge and experience of many. As a quick reference, included below is a list of materials used in the construction of the Delta Cooling Towers unit. 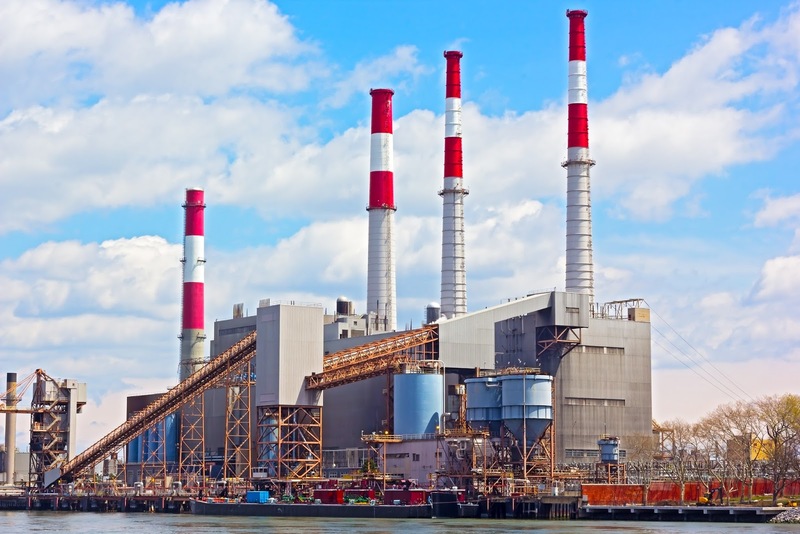 A quick glance by anyone familiar with the corrosion susceptibility of metals used in tower construction will see that the superior performance of the plastic materials should be given serious consideration on a cooling tower project. Industrial process control often involves the control of fluid flow, ranging from slurries or petroleum to highly refined liquids and gases. 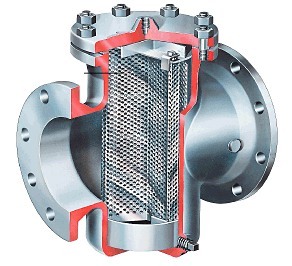 The enormous variety of application specifics has given rise to a wide range of valves with performance characteristics to match those requirements. 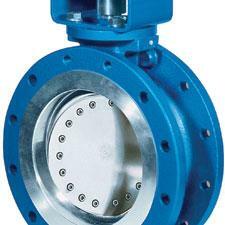 One common valve type is the butterfly valve. In it's simplest form, it is a disc located in the path of fluid flow that is connected to a shaft. The disc rotates through a 90 degree arc to present either its face (valve closed) or its edge (valve open) to the fluid flow path. 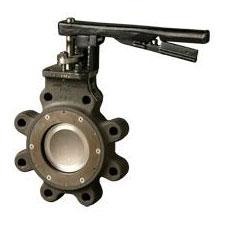 I wrote about some advantages and disadvantages of butterfly valves a couple months ago under the title "Is a Butterfly Valve Right for Your Application?". 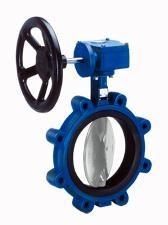 There is a variant of the simple version of the butterfly valve that provides distinct advantages for many applications. Referred to somewhat officially as a triple offset butterfly valve, it can also be more commonly called simply a triple offset valve. How is a triple offset butterfly valve different from a basic butterfly valve? 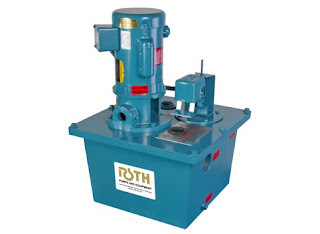 The triple offset valve does away with the centric alignment of the shaft and disc, using instead a shaft mounting arrangement that relocates the shaft axis off both the center of the disc and the center of the bore. 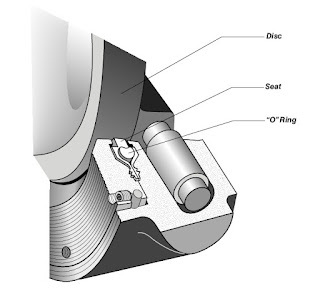 This shaft positioning, while creating a larger flow obstruction in the fully open position, sets the disc movement path in the proper alignment to take advantage of the third offset, which is the sealing surface. Triple offset valves have a different seals than other butterfly valve variants. There is an angular sealing surface, the angle of which is determined by sectioning an imaginary right angle cone shape that extends along the bore. However, the apex of the cone does not lie on the center of the bore. This inclination of the seal cone constitutes the third offset. You can see an illustration of this description in the document included below. What advantages might those differences bring to your application? Triple offset valves have discs that do not contact the sealing surface until the valve is closed. 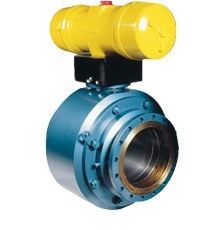 This is in contrast to other butterfly valve designs, which have contact between the disc and resilient seals for part or all of the disc travel, along with the associated friction and wear. Elastomer or other similarly resilient materials are not needed to provide a zero-leakage, bubble tight shutoff. 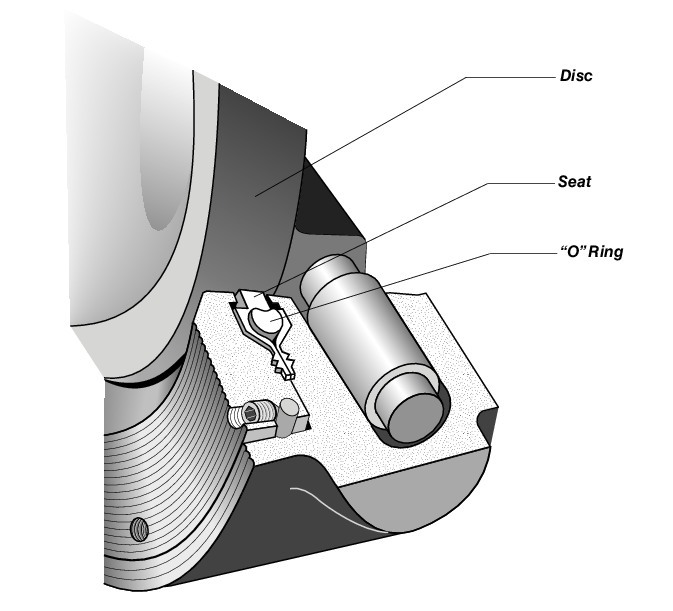 Sealing is generally accomplished with metal-to-metal contact. Friction free stroking of the valve disc. Actuator power requirements may be reduced. All metal construction provides elements of corrosion and heat resistance not found in other butterfly valve designs with resilient seals. This valve is torque sealed, not position sealed like other butterfly variants. 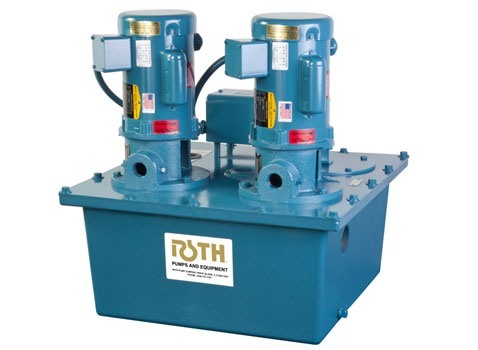 Actuator torque forces the seal of the machined metal surfaces to produce tight shutoff. No breakaway torque requirement, since the disc is not contacting resilient seals. 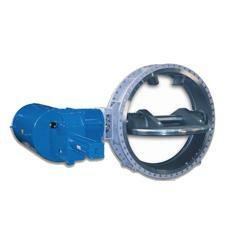 Seating arrangement prevents overstroking of the valve, a potential problem with other butterfly valves. Different manufacturers may have slightly different feature sets, but this should help you consider the benefits of this butterfly valve variant. Though its initial cost may be higher, the expected lower maintenance requirement, longer service life, and better performance may be well worth it. 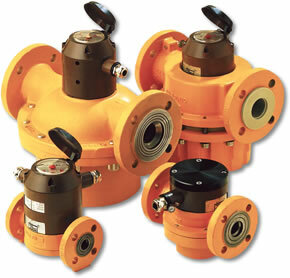 Talk to a valve product specialist about your application. I've written many times that combining your process expertise with the up to date product knowledge of a professional sales engineer will produce a positive outcome. Business is about getting things done. In today's pressured environment, it's also about getting things done expeditiously. At Mountain States Engineering, we want our existing and prospective customers to know that we are here to help you get those things done....expeditiously. 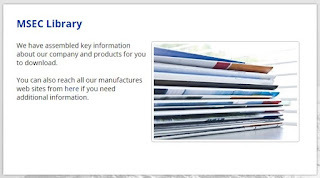 Our updated website includes a library of links and literature downloads for everything we sell. The goal is to help our fellow engineers in the industrial process measurement and control industry find answers and information quickly, anytime. No registration, password, or revealing of personal information is required to access the information. Go to our website, select the menu bar item "Library" and you are in. Mountain States Engineering is dedicated to support of industrial process engineers, technicians, and stakeholders of all types. With top flight products, problem solving, and support, Mountain States Engineering will be the group you turn to for industrial process control solutions. If you need anything not provided in the library, never hesitate to contact one of our engineering sales professionals. No Compressed Air? Use Water to Power Your Valve Actuator. Air is everywhere, but very little of it is compressed for our use in powering a valve actuator. Sometimes, possibly at sites located remotely, a reliable source of compressed air is unavailable for process control valve actuation. Installing an air compressor at the site may be an option, but one with impact on the reliability of the installation deemed undesirable. One possible solution is a water powered valve actuator. 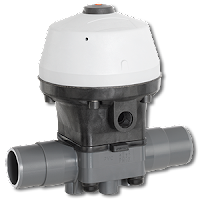 With mains water available, pressurized within the range of 60 to 100 psi (4-7 bar), actuator power can be derived and valve operation successfully achieved. Water always presents its own set of special considerations, not the least of which is that it tends to corrode most metals used in construction of actuator parts over time. Of additional concern are the particulates present in water systems which can cause premature deterioration of seals and scoring of cylinders in the actuator. Directional control solenoid valves will also function more reliably with a water supply free of larger particulates. While this is a concern, the solution is simply to place an inexpensive filter upstream of the devices, eliminating the contaminates from the water supply. While it is possible to employ some "standard" actuators in a water powered setting, there are special adaptations that can be applied to common actuator design to better suit the use of water power. One manufacturer, Hytork, has done just that with their XLW Series of water operated actuators. 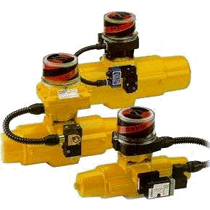 The XLW Series is a water powered adaptation of the company's successful XL Series actuators. Special coatings are applied to critical parts to provide necessary protection for water applications. There are other differences between the compressed air and water versions of the actuator, detailed in the installation and operating instruction manual shown below. 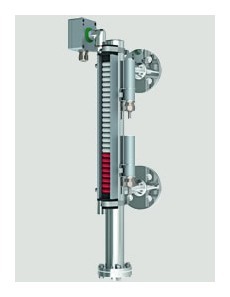 The manual is short enough to be read in a couple minutes (really, just a couple minutes) and provides useful and illustrative information about actuator construction, operating characteristics, and maintenance requirements. Contact a valve application specialist for more information, or to discuss any of your fluid control application needs.